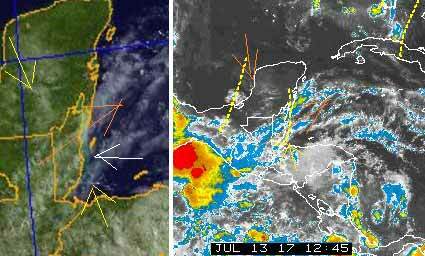 Belize NMS: Mainly fair weather to prevail during the next day or two. 24-hour forecast: Sunny with some cloudy spells today and cloudy at times tonight. Mainly fair and warm weather will prevail, with only isolated showers, especially over the south tonight. General Outlook: For Friday and Friday night is for continuing mainly fair and warm weather. Daily Tropical Weather Outlook: Tropical Cyclone formation is not expected in the North Atlantic, Caribbean Sea or the Gulf of Mexico during the next 48 hours. Today E 5-15 kts Choppy 3-4 ft ONLY LIGHT AND BRIEF ISOLATED SHOWERS. Tonight E-SE 5-15 kts Choppy 3-4 ft ONLY ISOLATED SHOWERS (SOUTH). Tomorrow E 5-10 kts Light Chop-Choppy 2-3 ft MAINLY FAIR. Outlook E 5-10 kts Light Chop 1-2 ft FRIDAY NIGHT: MAINLY FAIR, WITH ONLY ISOLATED SHOWERS (SOUTH). 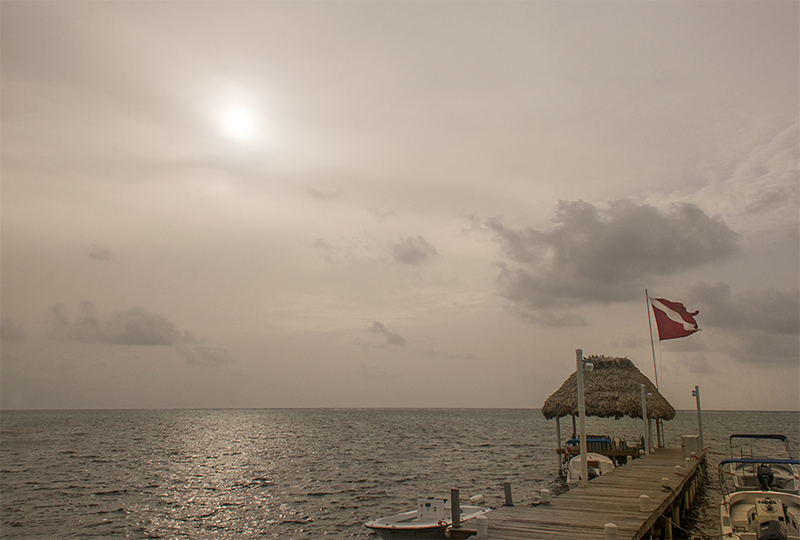 On Ambergris Caye this morning we have a calm sea and sky with hazy overcast. The breeze is from the East at 9 mph. Our expected high is a muggy 88 f.
Last edited by elbert; 07/13/17 07:29 AM. The general High level activity over Honduras, has its upper part well over Belize with high cloud moving from the WSW giving us cloud cover at present. 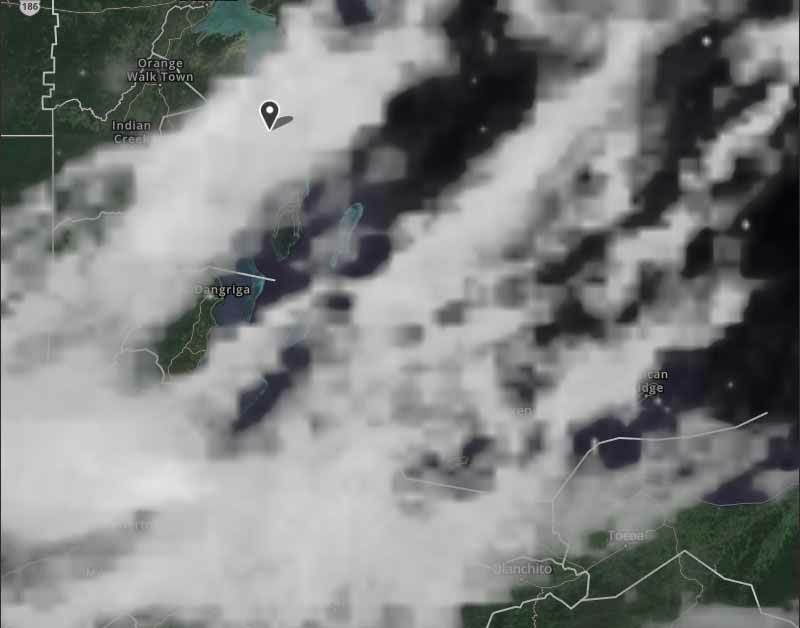 There is also a little mid level cloud moving down from the north. There are the odd rain showers around, more so down south, but not much. There is a very significant ITCZ centre in the Pacific, just off Guatamala, I think might develop into the next Pacific storm. Do potential storm areas in the Atlantic at present. A high, semi blanket cloud is moving northwards slowly, but moving rapidly from the SW. The rain cloud down south, near Monkey river, is coming in from the Caribbean and swelling up as it comes in over the land. Looks like today will be a mixture of high cloud and patches of sun, which will then cause the low cloud to develop, probably little or no rain.